New year, new fad, right? Maybe it’s just us but it seems like the abundance of quick fixes and “celebrity secrets” continues to rise, and these wild claims show no sign of slowing down anytime soon. People want results—fast—so profit-hungry companies make bold claims about bottled promises. But similarly to how Baby-boomers look back and cringe upon memories of skin soaked in baby oil in an effort to achieve that perfect olive tone, we too shake our heads at diet trends after realizing they lack scientific backing. So what’s the best way to actually, sustainably lose weight in 2019? 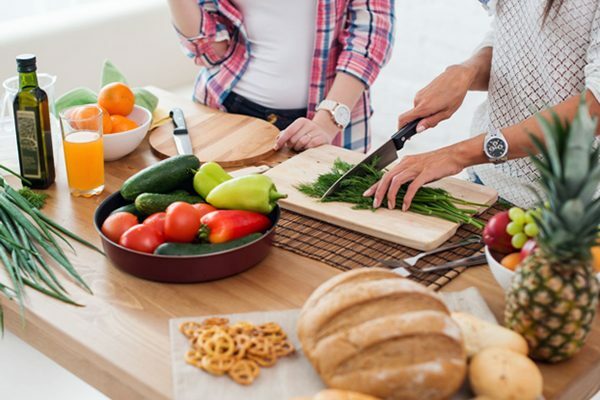 Here are our three best weight loss tips that have withstood the test of time—use them in 2019 and beyond! Amping up your commitment to cardio will not only assist in the weight loss department, it’ll help you live your best life. There are tons of health benefits to running a mile a day! Some of the most noteworthy include better fitness, improved sleep, cardiovascular strength, decreased risk of cancer, and enhanced mood. Sliding into your running shoes and hitting the pavement is like the next therapy session—except sweatier! You release stress, calm your mind, blow off steam, burn adrenaline, and when it’s all over, are hit with a flood of endorphins known as the euphoric “runner’s high”. 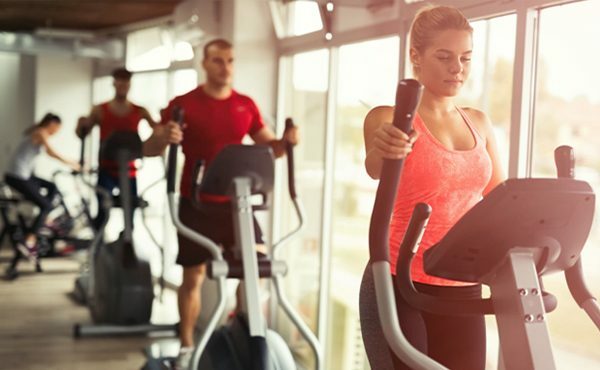 Because cardio (like running, biking, swimming and rowing) is a total body workout that uses more than one muscle group, you burn more calories and torch more fat. Pro tip: If you’re just getting into the art of running, make sure to set yourself up for success in a pair of running shoes dedicated to your unique foot shape and gait pattern. A solid pair of trainers will minimize your training pain and maximize your comfort, so ditch your dressy sneakers in favor of ASICS running shoes for women. The golden rule of Dieting 101 is to be more mindful of what you eat. It’s easy for us to fall off this bandwagon. Life gets busy, grocery shopping gets ignored, and fast food gets eaten instead. Work becomes too chaotic to find time to pack a lunch, so rather than eating a nutritious meal, we find ourselves grazing on the office snacks and realize we’re already in three bags of potato chips deep. You don’t have to hop on board the keto diet in order to eat clean and lose weight—although if you want to, go for it! We’d suggest taking a more realistic approach to dieting, so instead of banning carbs forever and tricking your body into ketosis, make simple, attainable goals. At the top of your list? Avoiding processed foods like the plague! Junk food filled with refined sugar and wheat will be your Enemy #1 standing between you and a slimmer self. If reading packaging labels is too stressful, rely on a food subscription service that can deliver fresh ingredients for healthy recipes right to your front door. If you’re looking for a list of active ways to lose weight, then encouraging you to sleep more often might seem a little counter intuitive. But there’s a surprising amount of truth behind the “Sleeping Beauty” legend! Not only does it improve the appearance of our skin, making our complexion appear youthfully radiant, but proper sleep also facilitates weight loss. Many people who are sleep-deprived report having an increased appetite, which makes sense considering sleep’s impact on two important hunger hormones: leptin and ghrelin. It may seem counterintuitive, but drinking more water will help you weigh less. Hydration is the easiest way to boost your digestive system and metabolism. The more your drink throughout the day, the faster your body will break down the food you’re consuming! Drinking water before a meal is particularly useful to your body. You’re less likely to eat those extra calories and your metabolism will already be in full force by the time you start eating. Some studies claim that you can lose as much as 44% more weight if you’re smart about your water intake! You probably already know that you should be drinking more, but it’s easier than ever to remind yourself to do so! There are plenty of hydration-focused apps and alarms that can track your water consumption and helpfully remind you when it’s time to down a glass of water or two. There’s no shame in carrying a water bottle around your office or gym, either. These days, it may as well be a fashion accessory! We’ve already touched on diet, but it’s so important that it’s worth mentioning again, especially when it comes to breakfast. Yes, it’s a cliché to say that breakfast is the most important meal of the day, but it’s also true! What you eat for breakfast can greatly impact the rest of your day. Having a full meal in the morning ensures you’re less likely to snack for the rest of the day and can greatly decrease cravings. Most dieticians now suggest eating some form of protein with your meal, specifically because they are more filling than grain-based meals and provide the necessary energy for you to start your day well. That’s not an excuse to buy extra slabs of bacon each week, though! As with most meals, quality is better than quantity. Eggs, Ham, or even Turkey are better morning proteins than Bacon. At the end of the day, exercise, diet, hydration, and sleep are the four most important ways to take control of your health. By prioritizing these pillars—in 2019 and beyond—weight loss will follow naturally!